I was putting myself in the mood for making up my lies — uh, writing my stories — and I was virtually strolling around a country path near Fulda, Germany when I chanced upon my daughter’s dog, Rocco, doing the same thing. Good thing I had some dog biscuits in my pocket. 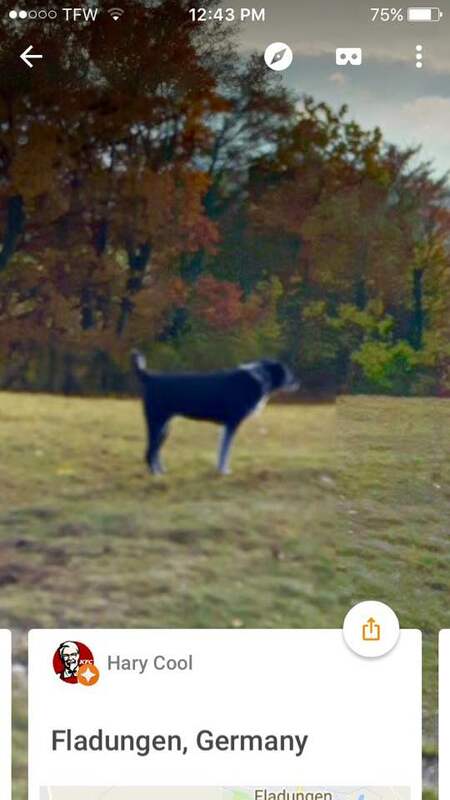 Strolling around the Rhön in Germany via Google Cardboard. 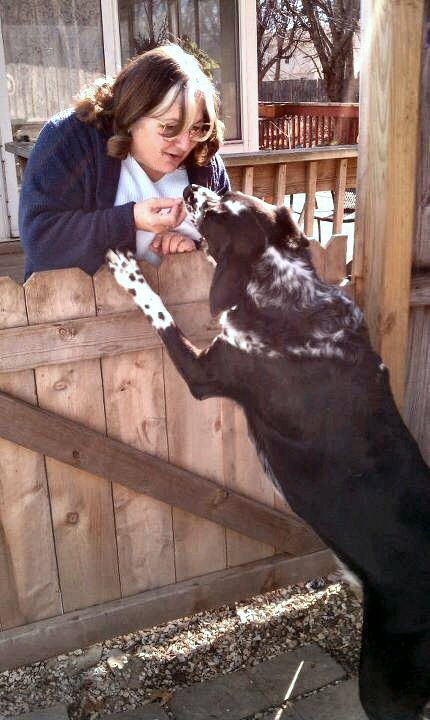 Me feeding dog biscuits to Rocco over our garden gate.